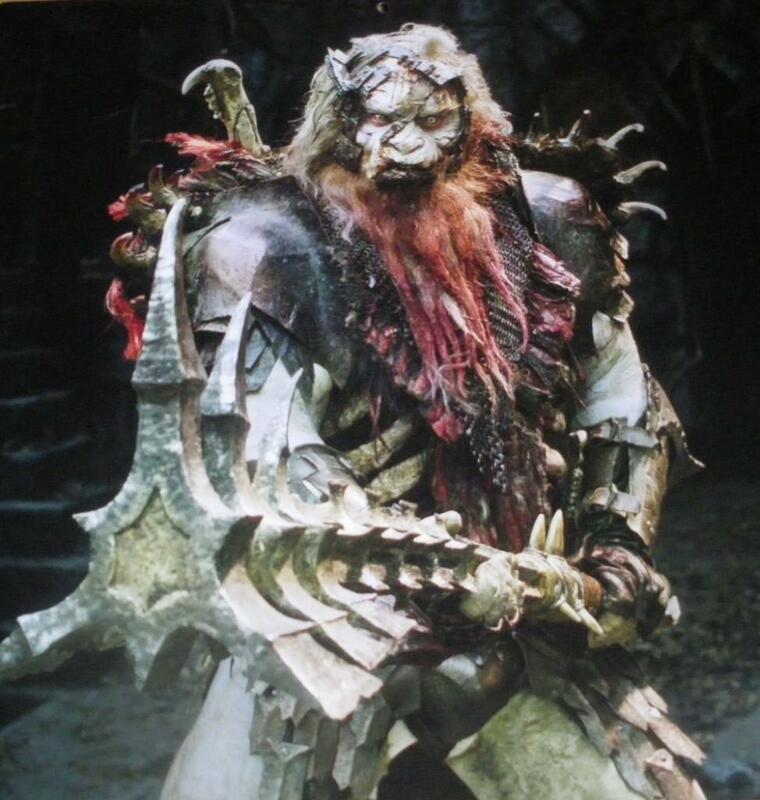 Here's a new photo that gives us our first look at Bolg the Orc Chieftain in Peter Jackson's long awaited film The Hobbit: An Unexpected Journey. The character is played by Conan Stevens in the movie, and as you can see, the costume and make-up design are pretty badass! Jackson and his team sure know how to design cool creatures! Bolg is the secondary antagonist in The Hobbit, he "was an Orc chieftain who came to power in the Misty Mountains after his father, Azog was killed in the war with Dwarves. Bolg ruled for some 150 years and led an army of Orcs in the Battle of Five Armies." The Hobbit: An Unexpected Journey hits theaters December 14th. What do you think of Bolg's look? Possible First Look at the Great Goblin in THE HOBBIT!